Why Facebook is best platform to start your business online? Facebook is world no #2 website in internet world and biggest social network of world. Facebook has 2.2 billions users and monthly active users are nearly 1.4 billions in 2015.Nearly 70% of facebook traffic visit access via mobile phones.Facebook is founded in February 4, 2004, at least 13 years old website. Facebook has greatest business mind and bought alot of big social companies Whatsapp, Instagram, Oculus, Snapchat, and much more. So that's the reason facebook is a big platform for business by growing your audience and make popular your product, increase your site traffic and start earning online. Facebook provides different types of promotions and business pages/groups.You can create a business pages to introduce your product and interested people will like your page and will comments on your post or create business group to promote your product and interested people will join your group and will also promote your and his/her product. Facebook Provides Fanpage Likes, Post Boost, and website promotion/advertising by paying payment with different types of method. You can choose your favorite country which likes you want or boost your post to your favorite country's people. 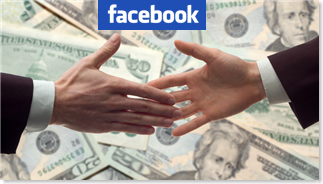 How to promote your fanpage and website with paid facebook services. No Comment to " How To Start Business With Facebook "